13 February 2019: Please be aware that parking is not available at the Miranda Holiday Park or Hot Springs unless you are staying at these facilities. 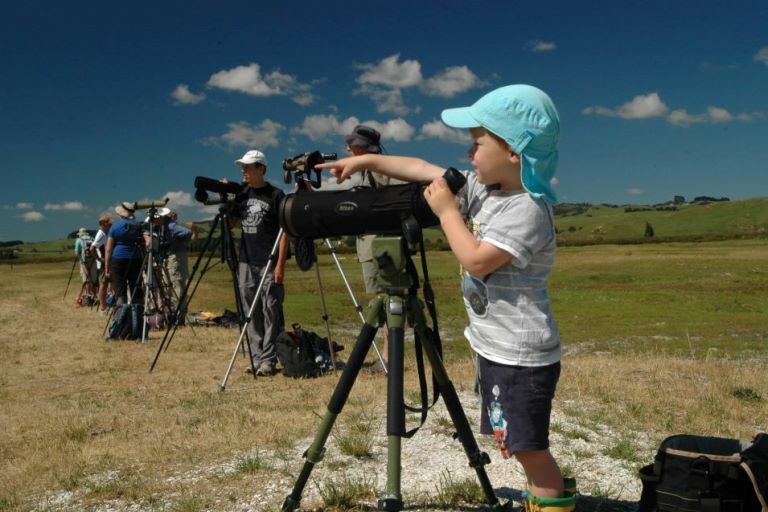 Parking is avaiable at the Miranda bird-hide, 3kms north. 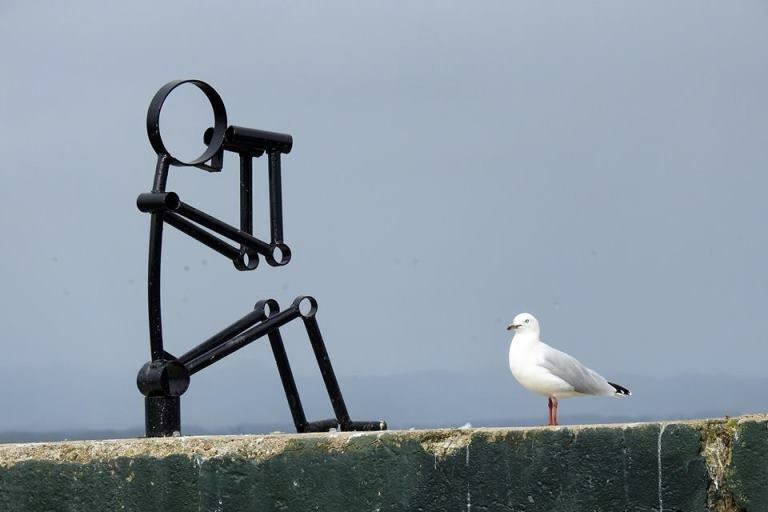 5 April 2019: The Rail Trail is open from the Miranda Holiday Park to Kopu and through onto Thames. 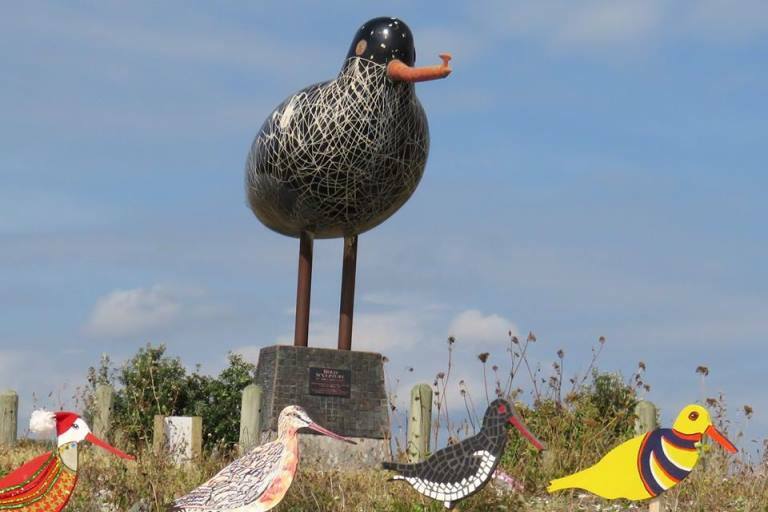 Repairs are required on the stopbank between the Miranda Holiday Park and the Bird Hide. 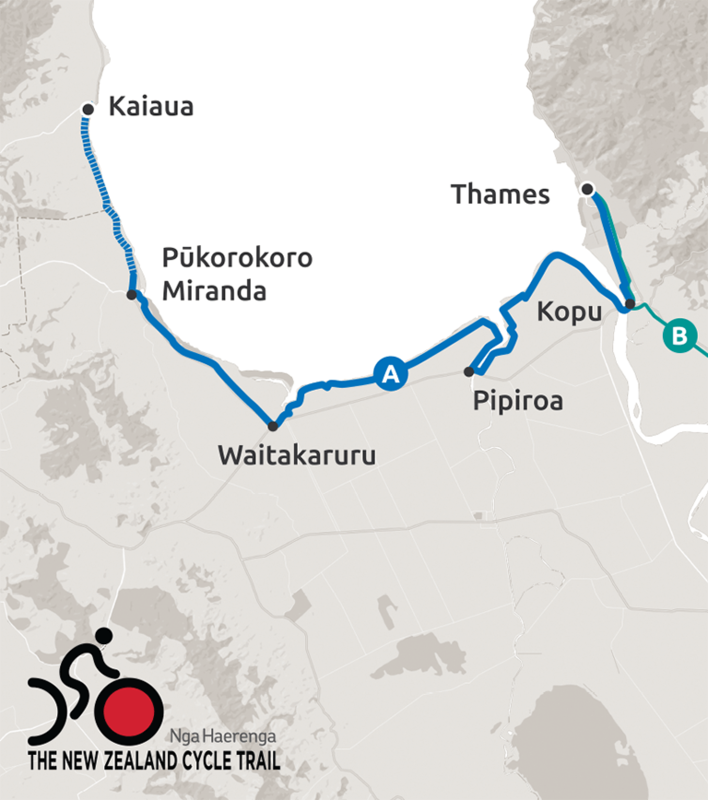 The Kaiaua to Thames section is only open from the Miranda Holiday Park southbound. 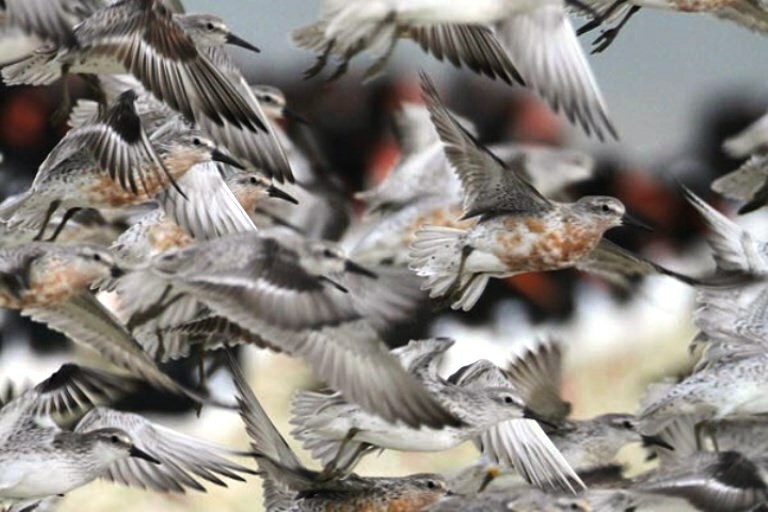 The devasting storm of 5 January 2018 caused considerable damage on the trail as far at the bird-hide which is still to be fully repaired and is currently unrideable. 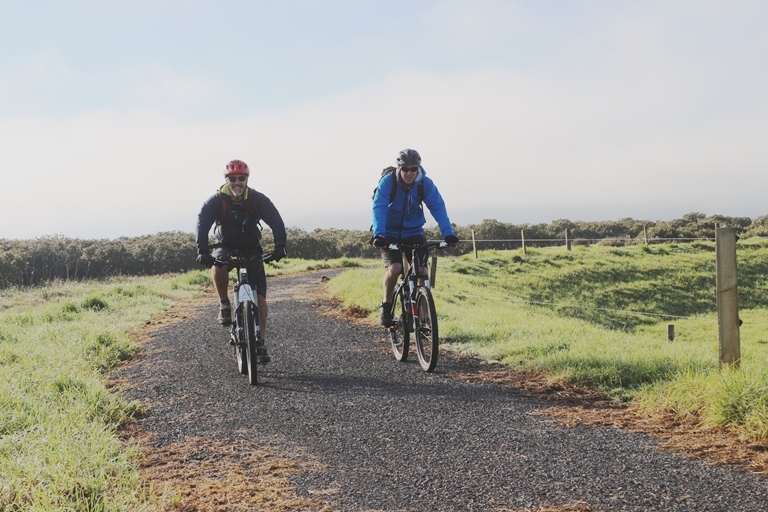 Further development to build the trail to the township of Kaiaua is making headway and we hope to be able to have some great news for you all shortly. In the interim, please use the shared roadway with extreme care as the traffic along this stretch can be blindingly fast. 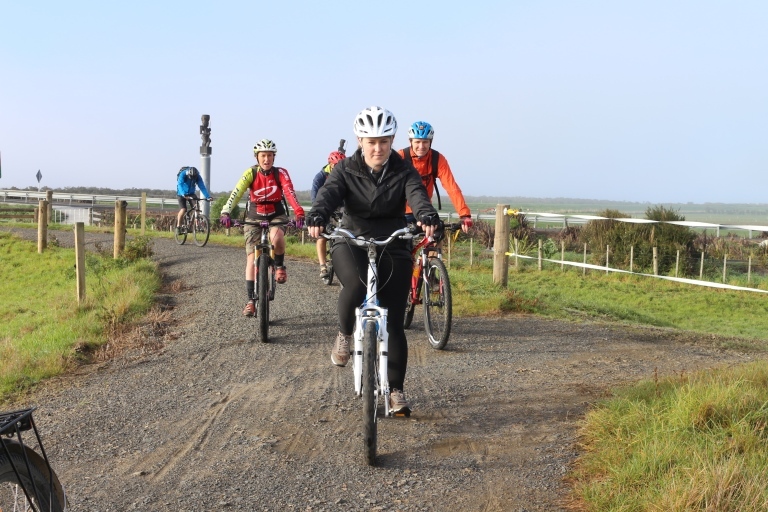 The open section, heading south, is an easy ride which is mostly along the top of stop banks taking in lush farm lands and wetlands with magnificent views to the Coromandel Ranges. 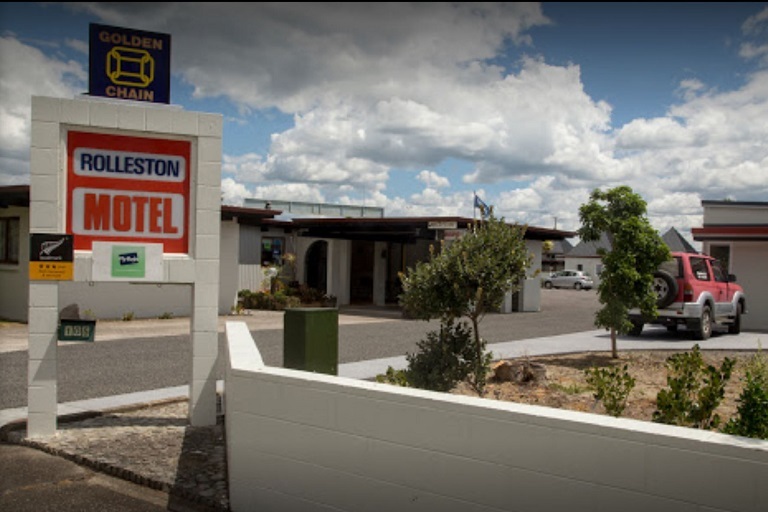 You will pass through the villages of Waitakaruru, Pipiroa and Kopu which all offer the chance to refresh over a cuppa and something yummy to eat. 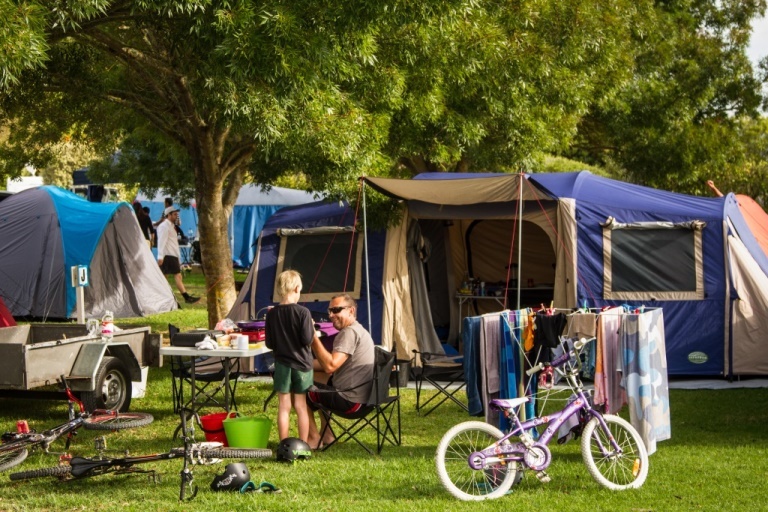 Thames is the perfect place for an overnight stop, with plenty of accommodation options and places to eat. Gun dogs are permitted on this section during the duck hunting season only. All dogs are allowed between Kopu and Thames. Enjoy a soak at the Miranda Hot Springs. The rural tranquillity and views. Tuscany On Thames is a well equipped Motel close to everything in Thames. Dont miss out on the Bugger Cafe, for delicious food and awesome service from friendly staff. The original settlers, were the Toi people (Pūkorokoro/Miranda – Kaiaua) and Ngati Maru (Thames). By the 1600's Tainui’s Ngati Paoa people had begun to arrive and eventually settled both sides of the Firth and the Coromandel Peninsula. On 16 November 1769 Captain James Cook in his ship Endeavour cast anchor off Tararu Point, about 2 miles north-west of the present town of Thames, and made a short excursion on the Waihou River by ship's boat. HMS Coromandel brought the Reverand Samuel Marsden to the district in June-July 1820. In 1821 Hongi Hika and a large war party arrived in the district and, by an act of treachery, captured the impregnable Te Totara pa near Thames and killed at least 1,000 inhabitants. The first reference to Europeans near Pūkorokoro/Miranda – Kaiaua came in 1832 when a trader from Port Waikato sheltered from a storm near Whakatiwai (north of Kaiaua) and discovered a Mr Jones from Sydney already living and trading there. The Reverand Henry Williams and party passed through the Thames district in October 1833 and chose a site for a mission at Te Puriri (now Puriri, 9 miles south-east). The site proved to be unhealthy and in 1838 the station, occupied by the Reverand James Preece since 1834, was transferred to Parawai (part of the present town of Thames). Preece worked there until 1847. 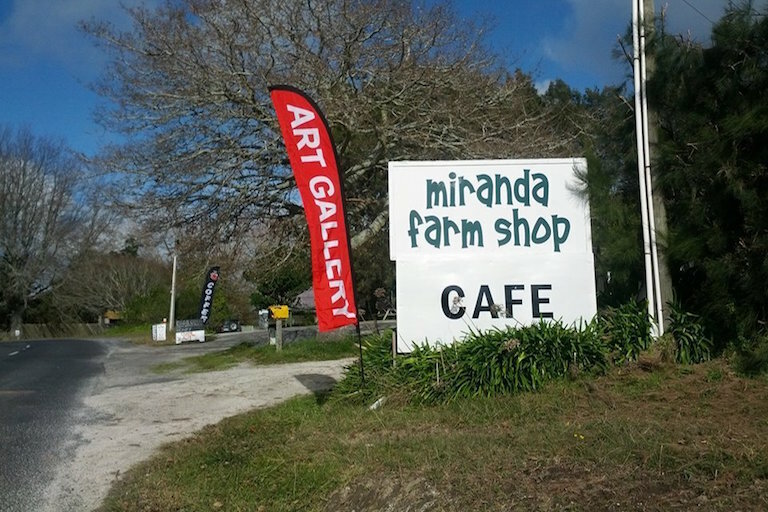 Miranda is named after one of two corvette ships which arrived in the Firth to support European troops engaging in battle against Maori in the 1860s. The troops lived in a redoubt at Pūkorokoro Creek, opposite the old limeworks. The redoubt was the first place in the area to be named Miranda. On 27 July 1867 J. Mackay, Civil Commissioner for the Hauraki district, secured gold-mining rights from three Maori chiefs for the Thames area. In August Mackay laid out the town of Shortland and brought a party of 40 miners and officials from Auckland. A general rush followed. The first important reef, called the Shotover, was discovered on 10 August by William Hunt; it lay beneath a waterfall on Kuranui Stream. Gold to the value of nearly £2,000,000 was produced in the peak year of 1871. Although there was occasional heavy production in certain subsequent years, the output of the field steadily declined until, by 1924, it had almost ceased. 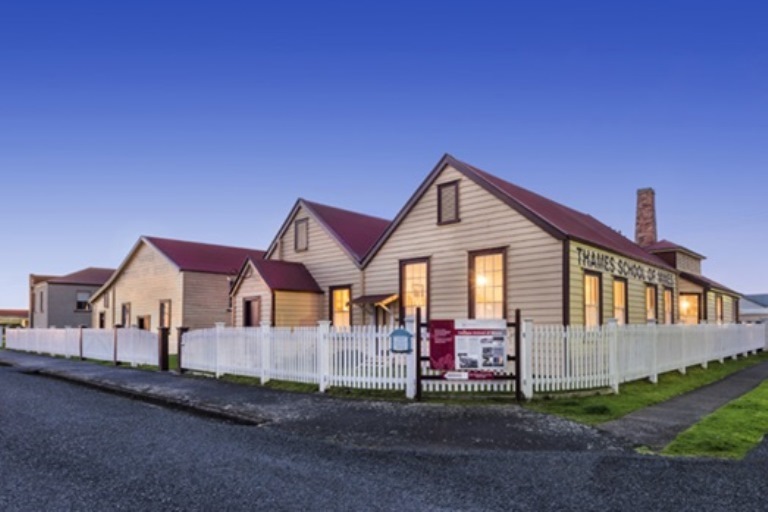 The Pūkorokoro/Miranda – Kaiaua area was opened up to European settlers in 1869 and two present-day families, the Findlays and the Douglas’, were among those first farming settlers. Shortland quickly became a compact town with a wharf and good port facilities for small vessels in the nearby river. Robert Graham secured a lease for a township – Grahamstown, which was laid out according to a Government plan. There were some major mining properties nearby and a deep-sea wharf was built at Tararu Point and connected to the township by railway. These two towns merged into one residential area after 1870 and, together, became known as Thames. Shipping services on the Waihou River had extended to Te Aroha by the early 1880s. It was not until the early 1880s that a road suitable for wheeled traffic was opened between Thames and Te Aroha. Thames was linked to Te Aroha and Hamilton by rail on 19 December 1898. The borough of Thames was constituted on 8 November 1873. The name is derived from that given the Waihou River by Captain Cook. All shipping on the river ceased in 1947. A limeworks was established at Pūkorokoro/Miranda in the 1930s to provide cheap lime for the local lime-deficient farms and there were several workers’ houses and a manager’s house nearby. These works eventually closed down in the early 1950s. The main farming activities of the district have been sheep and cattle raising, dairying, market gardening, fruitgrowing (pip, stone, and citrus varieties), and viticulture. 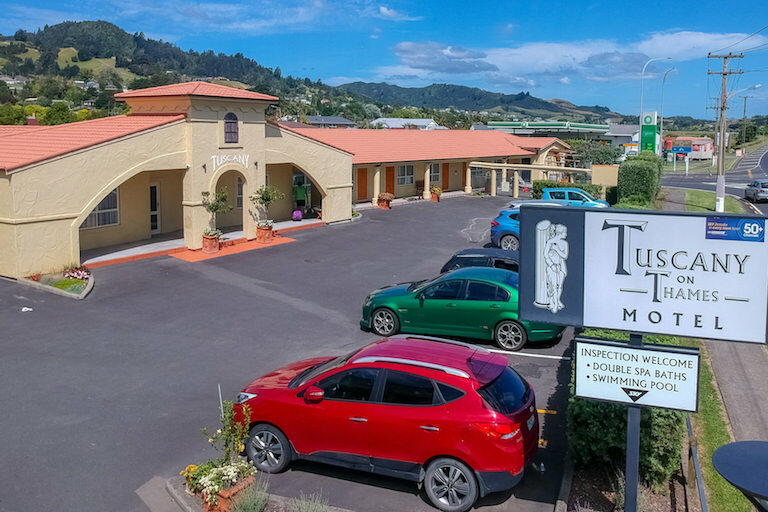 Port wine is made at Totara (about 2 miles south-east). 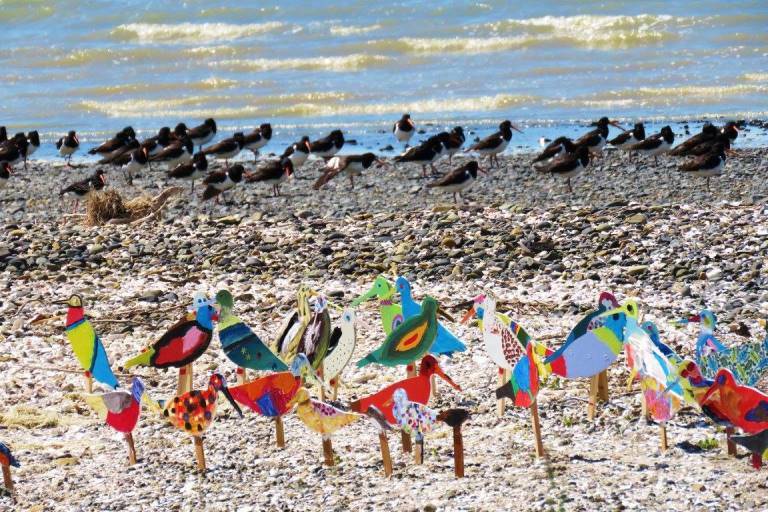 The Firth of Thames area has always been known for its wealth of fishing stock. 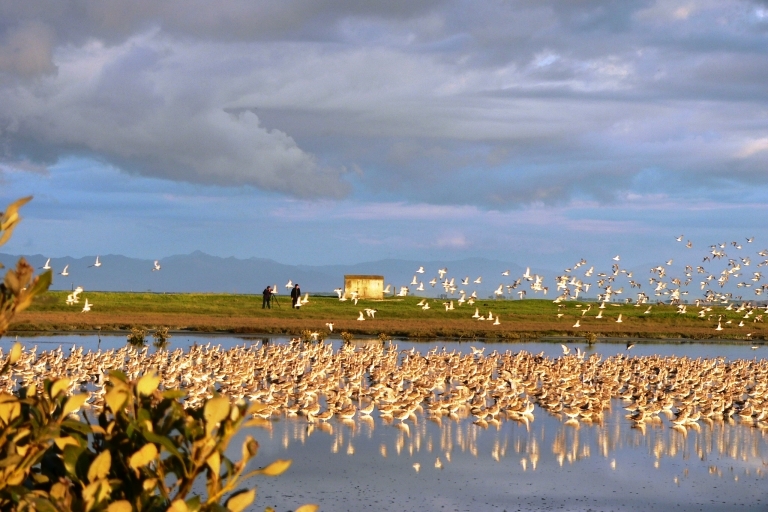 However, the Hauraki Plains area was originally a peat swamp which took many hours of diging and draining to get it to the lush Dairy Farming land it is today. The New Zealand Dairy Company, had a Cheese factory at Waitakaruru. To get good drinking water farmers would put down a bore. Mr H.R. Clover who obtained farm land in the 1910 Ballot at Waitakaruru attempted to put his bore down. First was 52 feet of clay, then as the bore went down, there was recorded 18 ft of pumice sand, 4 ft rotten timber, 5 feet clay, 10 feet rotten timber, 2 feet sand, 13 feet rotten timber, 4 feet sand and so on to a depth of 276 feet where it was stopped. There seems to be a definite fault line of hot water running from the Pūkorokoro/Miranda area, across the Plains from Waitakaruru to Kerepehi, then Te Aroha, Matamata and further. Thames is a trade and servicing centre with associated secondary industries. It is also an important base for commercial fishing in the Firth of Thames and elsewhere in Hauraki Gulf. Town industrial activities include fish packing and curing; sawmilling; general engineering; the manufacture of steel tubes and other products of heavy, medium, and light metal industries; concrete products; knitwear and other clothing. There was a brass foundry at Parawai on the south-east of the borough. Since the late 1950s active re-examination of old gold workings has been undertaken and there has been some prospecting for new ore bodies. 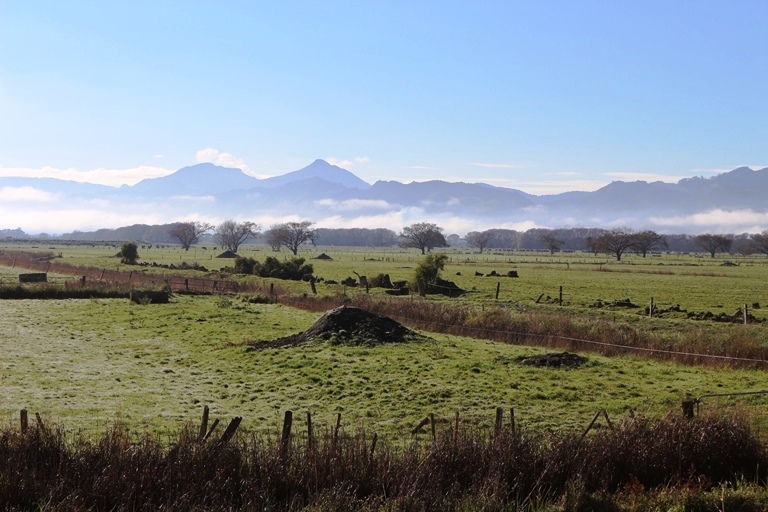 Today much of the land around the Pūkorokoro/Miranda area and through the Hauraki Plains is used for dairy farming. In Thames, Toyota have a factory (Thames Vehicle Operations facility), who work on used imports and ex-lease vehicles, refurbishing them and certifying them to specific standards and market them under their ‘Signature Class’ brand.